The Windsor Plate came into its current form from the neoclassical architecture made famous by Thomas Jefferson’s Monticello and the royal Windsor estates in England. 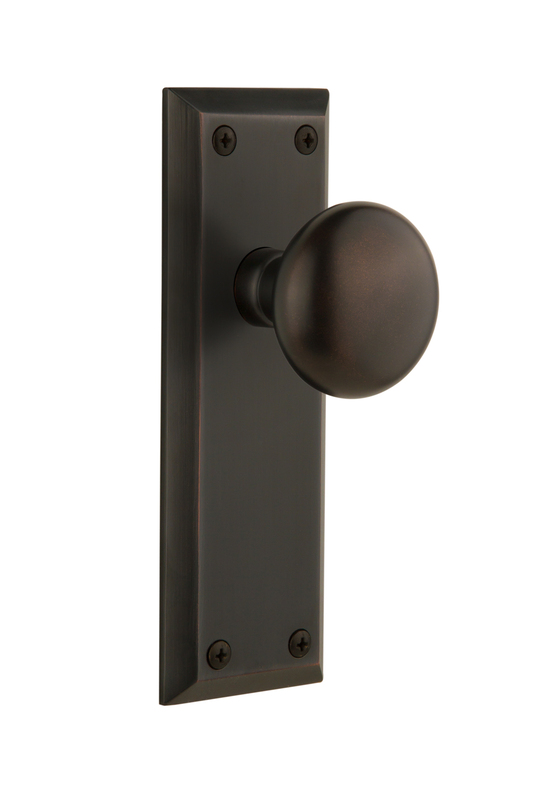 Combined with the Fifth Avenue knob, the look is surprisingly sophisticated, yet primitive. All Grandeur products are created from solid (not plated) forged brass.